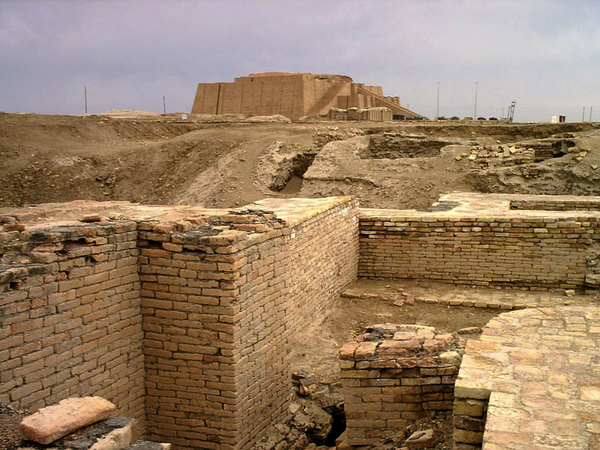 Ur (Urim in Sumerian times) is one of the world's oldest cities. It was located (in Mesopotamia) near the mouth of the Euphrates and Tigris rivers. Deposition of fresh sediments has resulted in the city being well inland today. The site is now called Tell el-Mukayyar and is near the city of Nasiriyah south of Baghdad. A ziggurat survives and is believed to be a temple of Nanna, the Sumerian moon god. 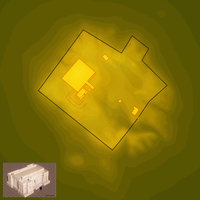 Ur also has a settlement mound with small courtyard houses. The courts are most likely to have been used for cooking and other work - not for growing plants. Ur is near to Eridu.